Ukrainian security operation troop did not return fire. Since the start of the day, pro-Russian separatists in east Ukraine have 10 times violated a "full cease-fire" announced on 23 December 2015, the press centre of the Ukrainian security operation HQ has said on Facebook. As of 1100, they carried out unaimed fire with small arms at Ukrainian servicemen's positions near Novhorodske. An enemy sniper was working in the area. 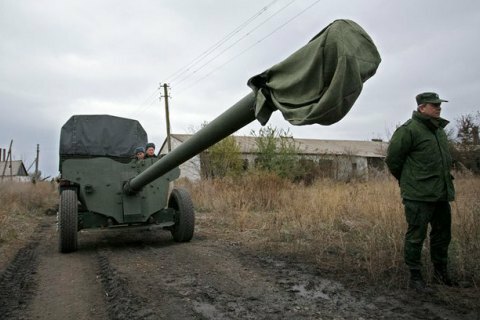 The militants mostly used arms near temporarily occupied Donetsk, where they opened fire five times. In paricular, Pisky was targeted with large-calibre machine guns. In the same sector, the militants shot at the security operation troops in Opytne. Today the Russian authorities announced that the Minsk agreements would stretch into 2016.